Award-worthy and promisingly delicious! This is how top dishes that are easily and entertainingly prepared by master chefs in front of the TV camera look like. In front of our eyes, pleasure creations are made that we can’t wait to try, taste and enjoy. At the gourmet hotel Lamark, this dream becomes true: For in our kitchen, no other than the famous TV cook Alexander Fankhauser will look after your culinary well-being. 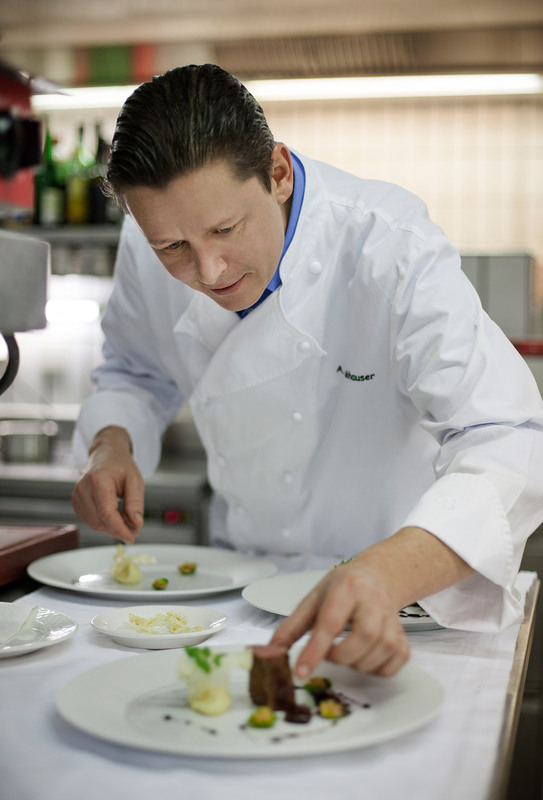 Born in 1974, Alexander Fankhauser learned his trade in the renowned hotel management school Villa Blanka in Innsbruck. He gathered international experience and the perfect final touch in Florence, London, Vienna and the USA. His teachers included Reinhold Gerer (Vienna) and Wolfgang Puck (Los Angeles). The most fascinating places of this world were visited by our master chef. Flavours, recipes and exotic spices from different regional cuisines were collected to conjure the newest gourmet dishes on a 3 toque level. With a suitcase full of fresh ideas, infinite creativity and outstanding expertise, Alexander Fankhauser changed the kitchen of his parents’ hotel completely. A gourmet cuisine on the highest level came into being. And it didn’t take long until the excellent specialties and indulging variations of our famous awarded cook became the flagship of our Lamark Hotel in Tyrol. 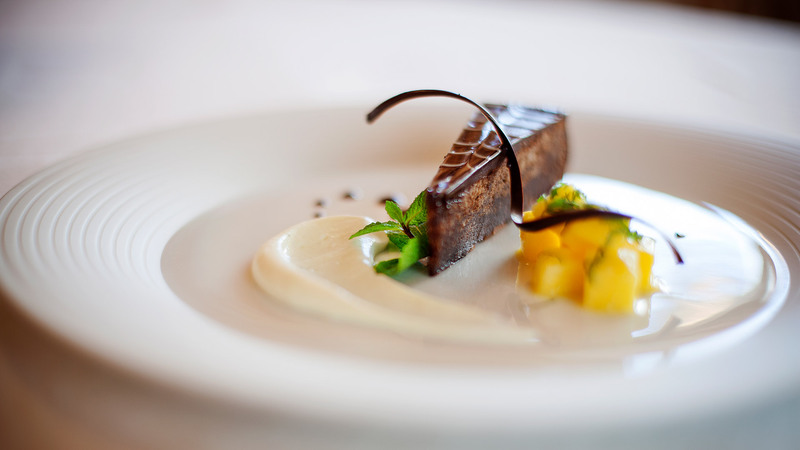 The restaurant Alexander is in the highest spheres, geographically as well as with its current ratings: 3 toques and 18 points in the Gault Millau 2018, 5 stars / 97 points in the gourmet guide “Guide A la Carte 2018”, 49 points out of 50 in the Austrian “Falstaff guide” 2017 (96 out of 100 points) promise fantastic culinary pleasures and epicurean highlights in your dream holidays in the Tyrolean mountains. 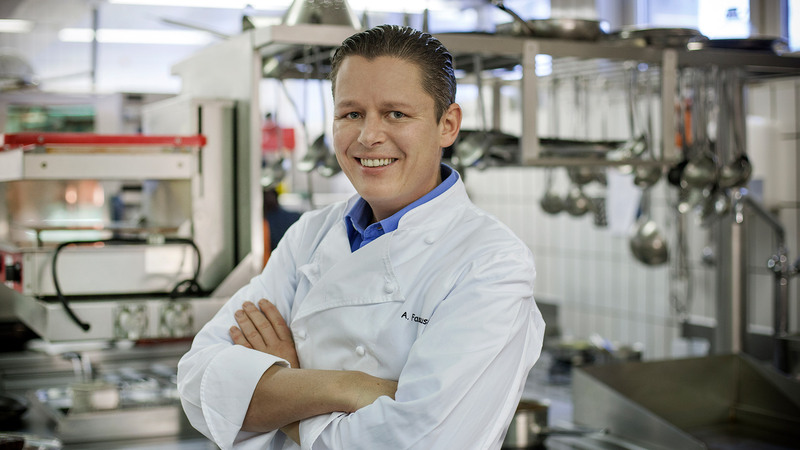 Together with Andi Wojta, Alexander Fankhauser whets the Austrian viewers’ appetite for good cuisine in the ORF cooking show “Frisch gekocht”. Always relaxed and with Tyrolean charm – in 2010 he was elected the most popular “Show Entertainer of Austria” and awarded with the Romy, the Austrian TV award.